Looking for some live entertainment to brighten up your winter? 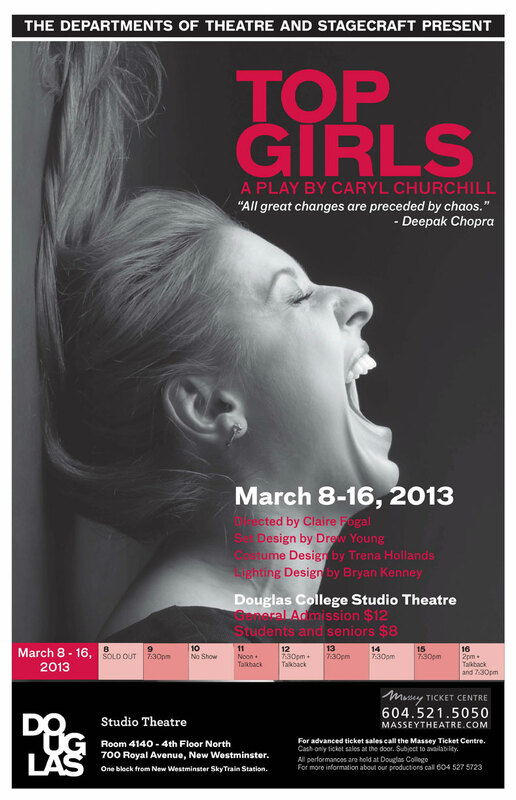 Then don't miss the Douglas College production of Top Girls, running March 8-16 in our Studio Theatre. The play, by Caryl Churchill, is the latest production of the departments of Theatre and Stagecraft & Event Technology. Top Girls charts a journey through the psyche of Marlene, managing director of the Top Girls Employment Agency, as she returns to the sister and niece she left behind in her quest for success. The play is set in Britain in the early 1980s and examines the meaning of success for women in a world ruled by men. But director Claire Fogal says the play goes much deeper. "Churchill is a brilliant writer who manages to pack a lot of political thought into the play without it feeling preachy," she says. "There are bits about power and the masks that we put on as women to climb the ladder, and there's also a lot about socialism and the poor versus the rich." Fogal says the Douglas College production mainly focuses on relationships, because they are "at the heart of the play." "Not only that main relationship between Marlene and her sister, but the evolving relationships between a whole group of fantastical characters who are similar to women Marlene knows in real life." The fantastical characters include Pope Joan, the woman who disguised herself as a man and became pope for two years in the ninth century, and Dull Gret, the subject of a Bruegel painting that depicts a woman leading an army of peasant women as they battle devils in Hell. "She fought devils because she'd had enough of violence and her children being killed," Fogal says. "She is the figure who really knows how to stand up against oppression, and she basically teaches all the other women to do so." Marlene's toughest battle takes place in her sister Joyce's kitchen, when they confront the darkest secret from their past. "They have this amazing verbal battle at the end, and Marlene finally realizes that everything she's been running from has actually fallen right down into her lap. There is no escaping." Top Girls runs March 8-16 at the Studio Theatre, Douglas College, 700 Royal Ave., New Westminster. Tickets ($8-$12) available through the Massey Theatre, 604 521 5050. Know any kids who could build a load-bearing bridge using only Popsicle sticks, glue and construction paper? This Saturday, Douglas College and the Association of Professional Engineers and Geoscientists of BC (APEGBC) Tri-City Branch invite students in grades 3-8 to do just that. Bridges will be tested on the day of the contest. The teams who build the strongest bridge and the most aesthetically-pleasing bridge, using the material provided by APEGBC, will receive prizes. Space is limited, so complete the registration form today and pick up your construction kit. Contact Llewellyn Fonseca, 604 612 2564, for details. There's a $5 advance registration fee for each team, which will be refunded at the event. Find contest rules and registration form online. Get the full scoop on the APEGBC website. This week at Douglas: Career planning workshop, study in California, Pink Shirt Day and more! Looking to discover career options that match your interests? This workshop will allow you to discover what you want to do, learn how to do career research and get follow up support with a career counsellor. More info/sign-up: call 604 527 5486 or stop by room 4600, New West Campus. Discover the secret behind the magic and success of Disney while earning a certificate in Hospitality & Tourism Management or a Certificate in Business Management from the University of California, Riverside, a top-ranked U.S. university. The next program runs July-December 2014. Help stamp out bullying. Share acts of kindness, learn about validation and help our student hip hop group make this the biggest pink dance-along in history! Works by Judy Weeden and Ronald T. Crawford. Till April 12. Priscilla Bartleman-Wolf wants to build a house. It’s a dream many of us have: to construct a home according to our own unique ideas and needs. A place where we feel safe and secure. A house that stands apart from its neighbours. 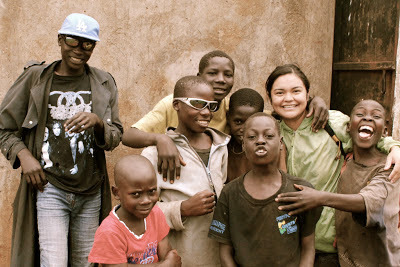 But there’s a difference: Priscilla doesn’t want to build the house for herself, but for street kids in Uganda. A graduate of the Douglas College Co-occurring Disorders program, Priscilla did a three-month practicum in Uganda last year where she worked with traditional healers at a hospital and taught literacy to primary school-age children. She loved Uganda so much she stayed an extra three months, hatching the plan to launch the Omusana Project. After returning to Canada briefly, she went back. The goal of the Omusana Project is to build a house for teenagers who have dropped out of school to give them a place to live and to teach them how to farm as well as other skills. Priscilla saw the need for such a house when she learned in Uganda kids of all ages were often put into the same classes at school, depending on how far along they were in their education. Thus, you might have a 16-year-old in a class full of 10-year-olds. “Some of the older kids get really frustrated, so they drop out,” she says. Now that she’s back in Uganda, she’s working with her partners - husband Brian and two Ugandans, Julius and Moses - to open a centre where the kids can drop in and chat. Outreach in the form of football, music, dance and drama will be offered twice a week. Sunday night will be movie night, and meals will be provided. In the next few months she hopes to buy land to begin growing food and raising animals. Priscilla says through her project in Uganda, she also wants to make people aware of the fact that B.C. has the highest child poverty rate in Canada. To learn more about the Omusana Project, visit the website and Facebook page. Interested in finding the right career for you? For more information call 604 777 6171 or send an email. Ladies: Are you ready to walk a mile in a woman's shoes? 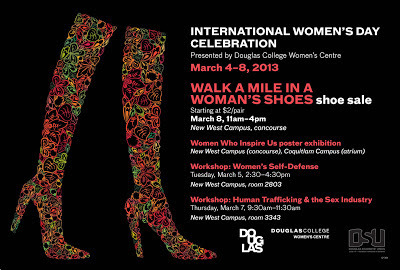 In celebration of International Women's Day, the Douglas College Women's Centre is holding a sale of gently used footwear starting at only $2 a pair! The sale takes place Friday, March 8, in the concourse at the New West Campus. Proceeds will go toward bursaries to support women in their studies. Any leftover shoes will be donated to women's shelters. To find out about other events for International Women's Day at both the New West and Coquitlam campuses, click on the poster. 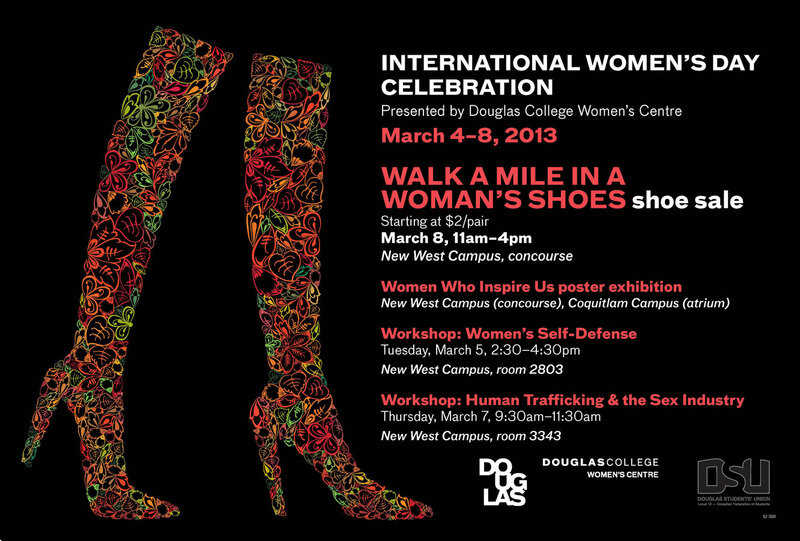 The Women’s Centre provides services and resources at both campuses for the women who attend Douglas College. The centre offers a library of resources, student assistants who act as peer counsellors and a place to connect with outside women’s centres in the Lower Mainland. At the Coquitlam centre, an over-30s group meets every Tuesday afternoon. To learn more about the centre, find it on Facebook, send an email, or just drop by. Graduation. It’s not an ending, but a beginning. At Douglas, we’re proud to be a part of so many amazing beginnings, like those we celebrated this week at our Winter 2013 Graduation ceremonies. 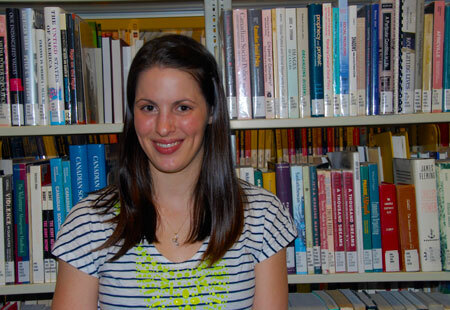 "The Bachelor of Science in Nursing represents the beginning of my adult life. It both excites and terrifies me in ways I cannot properly articulate. This credential is the start of an incredible career rife with new life experiences, opportunities and meaningful relationships with patients, families, and the community. This profession is more than simply helping someone. Nurses empower people to help and heal themselves physically, psychologically, emotionally and spiritually. The knowledge and skills derived from my education at Douglas allowed me to assign a title to my passion. I chose nursing because I was born to be a Registered Nurse." If you walked through the concourse on Jan 29, you probably saw Keiko dressed in a yukata, or maybe you saw Jorge in a mariachi outfit. If you saw several students with a map entitled: Around the Globe in 80 Steps, then you stepped into the third annual Douglas College International Day, which was an event held to celebrate the cultural diversity of the College's students and staff. "I define who I am because of my culture," said Renee, a student in the Child and Youth Care program who proudly displayed her Fijian heritage by wearing a chamba and a grass skirt. Renee and the other students who showcased various cultural artifacts from their countries gave students an opportunity to experience and engage in different cultures by simply walking through the concourse in less than 80 steps. Sunny, a first-year Business Management student, visited the inaugural Douglas College International Tea and Coffee House. The Douglas Den was transformed into a global cafe filled with aromas from freshly-brewed coffee beans and teas from around the world. "I enjoyed the different kinds of coffee," he said. So is it really possible to travel around the world in 80 steps? The 2013 International Day illustrated this possibility exists. We live in a multicultural town at Douglas and we are given a great opportunity to learn about what makes us all unique - yet similar. Imagine stopping for lunch at Subway, or a sandwich shop of your choice. So many options! Toasted? With cheese? Dressing? Salt? Pepper? Waiting in the airport recently, sitting close to a Subway, I found myself listening to people ordering various combinations. What struck me was the confidence with which each person ordered. My fascination with people’s ordering habits was not just due to in-transit boredom. A few years ago, a client shared with me her difficulty ordering at Subway as an example of her debilitating anxiety. Attempting to walk her through the process, I inquired about her Subway preferences. She froze and was completely unable to identify what she liked. Eventually she attributed this indecision to having been bullied in high school. Her sense of identity was so eroded that she was unable to voice an opinion for fear that it would be ridiculed. There are many different types of bullying. Some are more overt, such as physical violence, while some are more indirect, such as social exclusion. As my Subway story illustrates, bullying may not end after high school but can continue throughout college and university. This may take the form of hazing, gossip, or exclusion. As was the case with my client, survivors of bullying suffer significant collateral damage, such as lowered self-esteem, anxiety, difficulty trusting others, and in some cases, symptoms of post-traumatic stress disorder. Many resources offer advice on this subject; in particular, I recommend an article by Katie Greengrass and a wonderfully hopeful story from the website CALM. Many experts in the field seem to agree that bullying often arises out of a lack of self-esteem, or, in other words, a feeling of being invalidated as a person. This feeling is then projected onto others in the form of bullying. If we want to stop bullying, I believe we need to focus on the inverse of bullying, which, in my opinion, is validation. Validation could be described as an overt recognition of another person’s value. This can be done by showing appreciation of another person’s qualities or attributes – something as small as a compliment can go a long way. This poignant little video demonstrates the power of validation in daily life. It is a helpful example of how every single person can help increase empathy in the world and thereby work towards making bullying obsolete. I am happy to share that my client is now able to order her favourite Subway (BLT without bacon, with mayo) with confidence, and that she attributes her sensitivity to human suffering to her own high school experiences. She has translated this into a career working with children with autism. February 27 is Pink Shirt Day, and Douglas College is showing its support at both campuses. Students and employees are invited to drop by the concourse or atrium between 11am-2pm for activities and resources, with a free pink t-shirt giveaway at noon sharp. Come early as the shirts will go quickly! This week at Douglas: Study break, grad ceremonies and more! Join Douglas College Founding Member Henry Waack and friends for a celebration of his 85th birthday. All proceeds from this concert go to the Henry Waack Scholarship fund and the Douglas College Community Music School. Register by email. Would you like to get involved in the governance process at Douglas and represent your fellow students on the College Board or Education Council? Or maybe you know someone who would be a good representative. We are looking for two students for the College Board and four for Education Council (two from the New Westminster Campus and two from Coquitlam). All positions have a one-year term, commencing Sept. 1, 2013. The Registrar is accepting nominations until February 25, 4pm, so be sure to get your name in ASAP. You can get all the details you need by checking your Personal Announcements in myDouglas. Visit our website to learn more about College Board and Education Council elections. 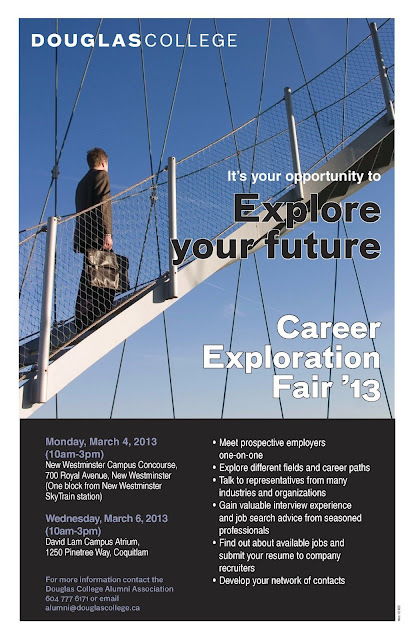 If you have any questions, contact the Registrar’s Office at 604 527 5478. Much like Rosa Parks in the civil rights movement, First Nations people in Canada are demanding change in upholding their basic human rights and treaty rights. Idle No More is about confronting racism and attitudes about First Nations people. Let’s be clear: First Nations people do not want anything more than what every other Canadian takes for granted. We want running water, safe and affordable housing, education, health care, and our treaty rights to be upheld. These treaty rights were not only negotiated by First Nations ancestors, but by non-First Nations ancestors as well. Human rights are not wants; they are rights that everyone should receive, and they should not have to be fought for. There are many misconceptions mainstream society has as to what these are for First Nations people. There are layers of very complex issues which would be difficult to sum up here. However, we need to start somewhere to inform the majority of what First Nations people struggle with. Idle No More is equivalent to the civil rights movement because we are dying. Racism is killing my people. Chief Theresa Spence has taken a stand, much like Rosa Parks, who refused to move to the back of the bus, and she took her rightful seat in society. Chief Spence has been criticized for her hunger strike, and her goal was to get people to pay attention. Her people are dying; she had to do something. I do not know of any other leader in Canada who is willing to die for their people. She should be honoured. Much like the civil rights movement, what she did is very unpopular in the media and mainstream society. Why is racism killing our people? When one group of people benefits from the land and the resources of Canada while First Nations people do not, I find it difficult to call it anything else. This is structural racism. It is built into the structure and fabric of Canadian society. First Nations people are the only race of people in the world who are governed by legislation. We are technically wards of the state, which means we have the Crown as our parent. Let me be clear: Idle No More is not about money. It is about fair and equitable treatment of First Nations people. First Nations people subsidize Canada though natural resources from the land. First Nations people want what every other citizen wants. First Nations people want meaningful dialogue with their government. First Nations people want to protect the land and environment. First Nations people want their treaty rights to be upheld. Myth: We get free education. Fact: Children on reserves get approximately 25 percent less funding for elementary and high school. Education is a treaty right that was negotiated in exchange for the land. On reserves, the average student receives $2,000-$3,000 less than the average Canadian student. Many of these “schools” on reserves are mouldy and are not fit environments to learn in. Myth: Millions of dollars go to First Nations bands. Fact: Most of the monies allocated to bands are spent on administration by the Department of Aboriginal Affairs and Northern Development before it goes to bands. By the time the band receives funding it is much, much less. This money has to go toward water systems, schools, housing, social services, health, administration and infrastructure. We do not have infrastructure support on-reserve. If we have a pothole, we have to fix it, whereas off reserve, if we have a pothole, we call the city and they fix it, no money out of pocket. Myth: We get extra health care coverage benefits through our status cards. Fact: We get less coverage that people who are on income assistance. We also have to get “permission” from the Department of Aboriginal Affairs for almost everything we need for health reasons. Many specialists will not take Indian status as health coverage, so we end up going without necessities such as dental care or specialist appointments. These are only a few of the misconceptions around funding for First Nations people. We are simply trying to find a way to have healthy, educated, well-adjusted children, youth and families. Just like every other Canadian is trying to do. It is time for action and for my people to say enough is enough. 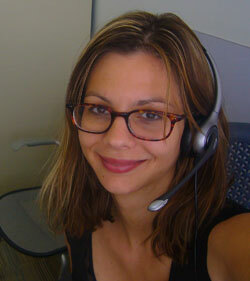 Kellie Tennant is Coordinator of the Child, Family and Community Studies - Aboriginal Stream program at Douglas College. Opinions expressed in this story are those of the author and do not necessarily represent those of Douglas College. Want to write a piece for doug? See ourwriter's guidelines. The Douglas College Community Music School and Douglas College Music Department founding member Henry Waack invite you to celebrate Henry's 85th birthday at the upcoming fundraiser concert: "A Sentimental Journey" on Sunday, Feb. 17, 2:30pm, in the Laura C. Muir Theatre. ($20 General admission or $15 students/seniors). As one of five founding members of the Douglas College Music Department, Henry was instrumental in shaping the department into what it is today. He worked closely with Dorothy Jones of the Theatre Department to produce over a dozen musicals, and was musical director for over 70 productions in B.C., Alberta and the Yukon. 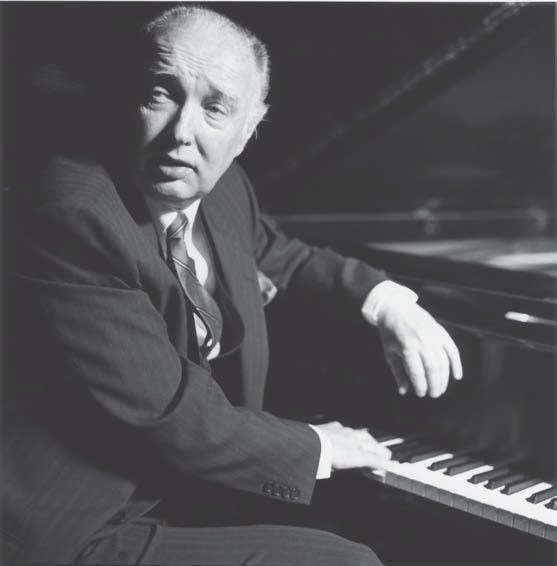 Upon his retirement, Henry left a scholarship fund to the College to benefit deserving Douglas College Music students. Henry is a well-loved and highly regarded musician. He was recently awarded a Lifetime Achievement award from the Coquitlam-Maple Ridge Branch of Registered Music Teachers, and an Excellence in the Arts award from the Tri-Cities Arts Council. Join Henry and friends as they entertain with stories, music, monologues, and a reception after the concert. All proceeds from this concert will go to the Henry Waack Scholarship Fund and the Douglas College Community Music School. Tickets are going quickly, so purchase yours in advance through the Community Music School (604 527 5469, room 3200A New West Campus) or take your chances at the door! Do you love being active? Are you wondering where a diploma in Sport Science from Douglas College might take you? 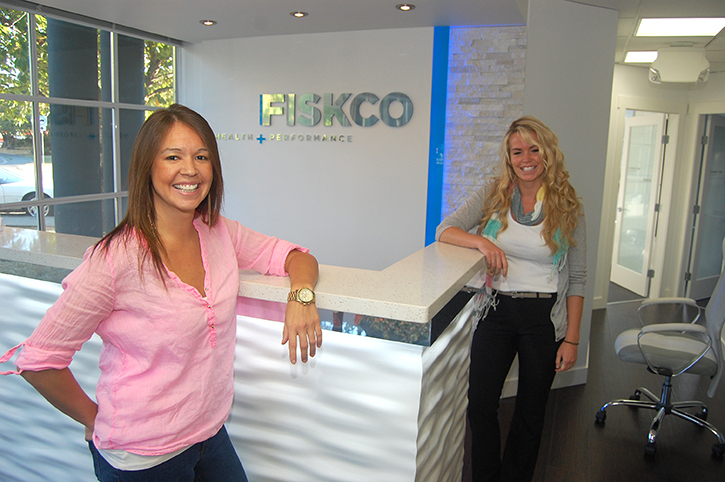 For Dr. Shawna Fiske, it was the first step to becoming a chiropractor and the owner of her own practice. Read on to meet Shawna and find out how she got there. This week at Douglas: Study in France, study in Korea, give blood and more! Help Douglas reach its goal in the Partners for Life program! Donate blood as part of the Douglas College team. The Canadian Blood Services Bloodmobile will be on campus today to take your donations. Find out about eligibility and book your appointment by calling 1-888-2DONATE.